As I'm nearing the end of my college quarter, my workload intensifies. However, I have found time to tinker in the kitchen. A small, local Jersey farm offers fresh, raw milk as farm shares and we recently opted in. I received my first gallon this week and put it to good (and tasty) use. On sight, I enjoyed the simplicity of the milk in its big, glass jar with the cream on top. How have we diverged so far from this basic form of milk? At first, I didn't know what to do with it! Later, I whipped the cream on top and made butter. The butter is scrumptious and has a beautiful yellow color (no coloring needed). It reminded me of my first experiences with farm-fresh eggs and their deep yellow color. The butter is a bit on the firm side, though, and next time I'll whip it a little more after rinsing it. I was surprised at the amount of time it took to make butter using a mixer! What a work-out our ancestors must have had making butter by hand! Out of the butter, came buttermilk. Not the kind of buttermilk you buy in the store, as that buttermilk is cultured. This is just buttery tasting milk. I'll use it for baking or adding to a smoothie. After that, I used the Bulgarian Yogurt Culture I ordered from The New England Cheese Supply Company and made a big batch of yogurt. It is sooooo good! It also has an enticing creamy tinge of color and is very smooth tasting. This culture can be used over and over so I'm saving a little for my next batch. This brief experience with fresh milk makes me wish our goats were milk goats! I could really envision myself enjoying making my own healthy and tasty cheeses and dairy goods. I also intend to make sour cream and cultured buttermilk from starters from the cheese supply company. As you might remember, I went through a period of eating a vegan diet last year. Well, I feel good about using this milk as opposed to milk that has traveled across the country to be mixed with other milk and heated and slapped into an inert state. This farm is small and the cattle graze on grass and alfalfa. It feels more wholesome. Craving what you know. Pear-Ginger Smoothie. I wonder which foods my children will remember from their childhood? Sometimes I think they will complain about their mother who forced them to eat all sorts of "weird" and healthy foods. However, my sincere hope is that someday they feel grateful for their exposure to varying tastes, textures, and the overall virtue of nutritious food. When I reflect on my own upbringing, it's with an ever clearer understanding of the intent behind the food I was served. I was raised on a fairly healthy and wholesome diet---- fresh and home-canned produce from our large garden, farm eggs, and a healthy dose (pun intended) of vitamins, health advice, and snake oils (from my grandmother). When I recently took a spoonful of flaxseed oil (Omega 3s! ), I was transported to my grandmother's kitchen as she opened her old refrigerator and gave me a spoonful of olive oil (was it olive oil? I hope so!). I also remember my mom's concoctions of wheat germ in whole milk, given to me when I was becoming too skinny, or feeling under the weather. There was also that smoothie she used to make----- as a child I choked it down, but I would probably welcome it now. Once again, wheat germ there was wheat germ in it. There are some revolting memories, such as eating liver on (what seemed like) a regular occasion. To this day, the thought of liver makes my stomach turn a little.Or a lot. But on the whole, I believe I am healthy and I crave nutritious food as an adult because of my upbringing. I was exposed to fresh vegetables and homemade food throughout my childhood and I crave those things today. I worked in our large garden and witnessed the growth of life and sustenance at the most basic level. As I gather information for a large research paper (for college) on the effects on a child's' behavior and academics due to diet and food choices, I am finding more and more information related to my earlier post on School lunches. If you have not read the comments from that post, please do---- they are insighful. I also added a whole slew of links relating to that issue--- including an article about the health and safety of the meat our national lunch program uses, a new Food Corps program, and the Healthy, Hunger-Free Kids Act of 2010 making its way through congress. Do check those links out! If you have any helpful information on how specific food choices affect childrens' behavior (perhaps your own child?) please contact me! Lastly, I whipped up a refreshing smoothie with a bit of that Ginger juice. In a blender (Vita-mix), blend all ingredients. Serves 1. Enjoy! Raw foods are of interest to me because of their vibrant and pure flavor, as well as their health benefits. The recipes are often hands-on and they feel new and experimental------- which appeals to me. In fact, I am rethinking and revamping a few of my recipes using raw food preparation techniques. Which brings me to this new Ginger Ale Recipe. All last summer, we enjoyed the original Ginger Ale recipe. A recent warm spring day had me craving that summer staple but I thought I would revamp it a bit. I love the results! 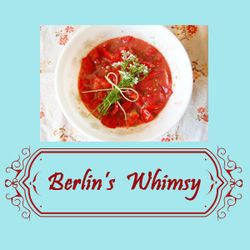 **I used my high-speed blender in this recipe, but I believe a regular blender would work fine, too (let me know if you try it!). **This is pure, unadulturated Ginger Ale, which is to say it is gingery!!! It provides spice and the pure taste of ginger. I recommend finding plump, fresh ginger for this recipe.If the ginger in your store is wrinkly, or it looks dried-out, keep searching. **We also tried it with a splash of Spicy Rum with high reviews. **Once you make the "Ginger Juice" it's quite easy to whip up your own Ginger Ale when the urge arises. **I will share some other recipes using that potent Ginger Juice! Method: Make the Ginger Juice. In a blender, place the chopped ginger root (no need to peel) and add an equal amount of water. Blend on high for approximately one minute, until the ginger is completely chopped and pureed. Allow the mixture to sit in the blender jar for 30 minutes. Strain the ginger pulp from the juice through a fine-mesh strainer set over a medium-sized bowl. Press the pulp to remove all the juice. Refrigerate the juice until ready to use. It keeps in the refrigerator for one week. Add ice and sparkling mineral water. Adjust for your taste. I experienced a little physical bump in the road recently, reminding me once again to be thankful for all the positive things in my life. Why is it so easy to forget? To forget to look at the fall sky and feel gratitude for the eyes that see it and the sensitivity to experience it? To take for granted the legs that allow me to walk under that fall sky? The recognition of the mind with a capacity to understand and the opportunity to learn from life's experiences. The gift of this life's journey that can either be embraced or dismissed. And the ability to choose.